As a powder, our vitamin B5 is perfect for adding to your pre- or post-workout shake for an extra boost. 1. Pantothenic acid contributes to normal energy-yielding metabolism and mental performance. 2. Pantothenic acid contributes to the reduction of tiredness and fatigue. When to take 100% Vitamin B5? Our Unflavored powder makes it easy to add 1g to shakes, juices, or just water. What does 100% Vitamin B5 work well with? Other vitamins can also help to support your energy levels throughout the day. 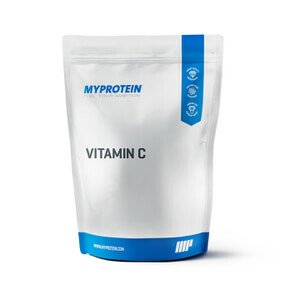 So, add our 100% Vitamin C powder to your shake too for an extra boost. I have bought a few bags of the B-5 Pantothenic Acid powder and it has all been of excellent quality. I mix 6 grams of it every morning with warm water and combined with 500mg of L-Carnitine it has been very effective. I will continue to purchase this product from MyProtein as long as they sell it. It works. Helped with my b 5 count getting to better levels.